Hello FIRST Tech Challenge teams and North Texas volunteers! 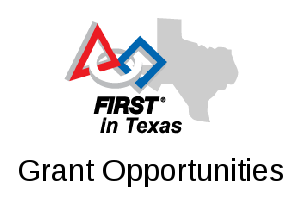 FTC teams 11563 “Hedrick Garage” and 7172 “Technical Difficulties” are pleased to announce a robot workshop and scrimmage for Saturday, October 28, at Hedrick Middle School in Lewisville. The purpose of the workshop/scrimmage is to allow teams to share ideas and prepare for competitions. We will also be using this event as an opportunity to train event volunteers and officials (referees, judges, scorekeepers, inspectors) for the upcoming season. Even if you don’t have a working or complete robot, we encourage you to attend the event. There will be veteran team members and experts available to help you with your robot and share ideas and suggestions! And yes, we will have scrimmage matches so that people (teams, referees, officials) can become more familiar with the game dynamics, but our main focus for the day is having a fun day with robots and helping everyone get prepared for competitions. The scrimmage is free of charge, but we ask that you pre-register for the event so we know how many to expect and can send further scrimmage details. If you are bringing multiple teams, please register once for each team. Please register if you are coming, even if you don’t have a robot or don’t intend to participate in scrimmage matches. For more information, contact Patrick Michaud (pmichaud@pobox.com). We hope to see you on Saturday!